Avocados are tropical plants that require full sun and soils that drain well. Avocados grown from seed rarely come true and fruit. However, if you live in parts of Florida or California where avocados will grow, grafted varieties often produce fruit in a few years. Trees can grow to between 30 and 60 feet. Avocados are susceptible to a number of fungal diseases. Although most are treatable, some are not. Cercospora spot is caused by Cercospora purpurea. This disease usually manifests as small brown spots on avocado fruits and on the plant's leaves. These brown spots grow together to form larger, irregular brown patches. The patches can be a point of entry for insects and other organisms that start to decay the fruit. To treat Cercospora spot, begin spraying for this fungus on May 1 and continue until the fruit is harvested. Avocado scabs are caused by the fungus Sphaceloma perseae. This fungus attacks the young, green leaves, fruit and tissues of avocado. As tissues mature and become woody, they are more resistant to avocado scab. The disease initially appears as dark spots on both sides of the tree's leaves. Dark oval spots that are raised are the first indication of a fruit infection. Those spots join to create corky areas on the skin of the fruit that, although they affect appearance, do not affect the quality of the internal fruit. 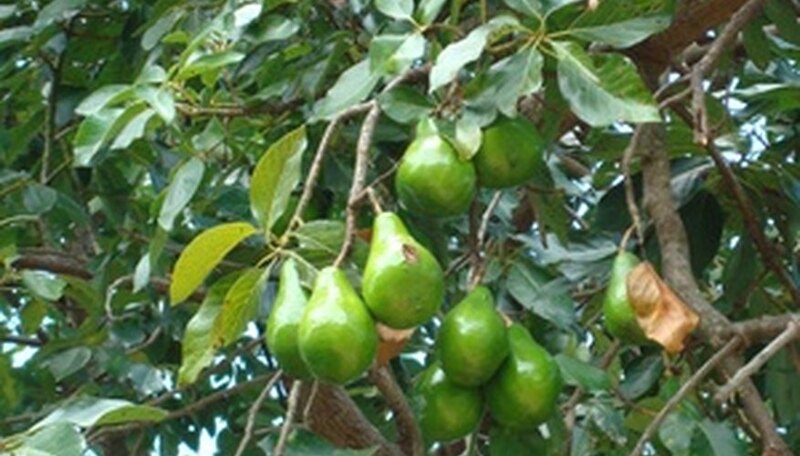 If your trees have had problems with avocado scab, begin spraying at bud swell and stop after harvest. If you are planting new trees, many modern varieties are resistant to this fungus. Antrhacnose, or Colletotrichum gloeosporoides, doesn't directly infect avocado fruit. However, it is a secondary rot source for fruit with weakened skins or with skins that have been damaged. This disease manifests as circular brown or black spots that eventually become cracked and sunken. Avocados require soil that drains well. Trees growing in soil that doesn't drain well can be susceptible to avocado root rot. This is a serious disease for orchards because it can affect entire sections of plants. Most often a problem after a flood or other long term soil saturation, the leaves of trees suffering from this disease may appear yellow or pale green. The leaves may be wilted, or even appear dead. Once a tree becomes affected by avocado root rot, there is no way to treat the disease.